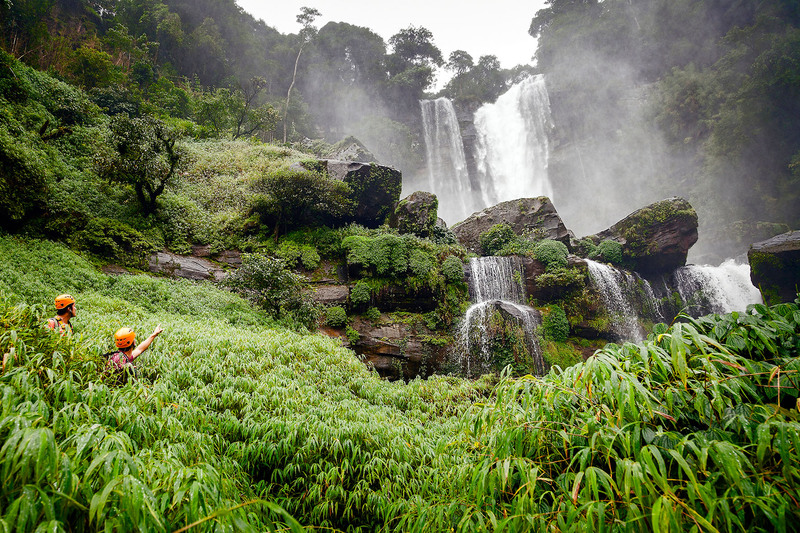 I first visited Muang Champasak only as a quick layover on my way to Wat Phou, but once there I was enchanted by its scenic tranquility. 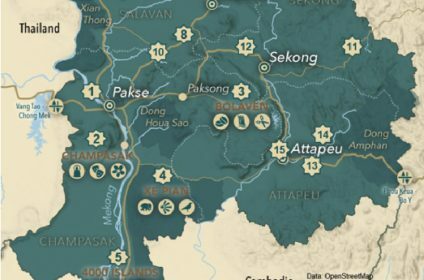 Situated 33 km south of Pakse and just 10 km from Wat Phou, Champasak is generally seen as just a gateway to the ancient Khmer temple, which is truly an injustice. 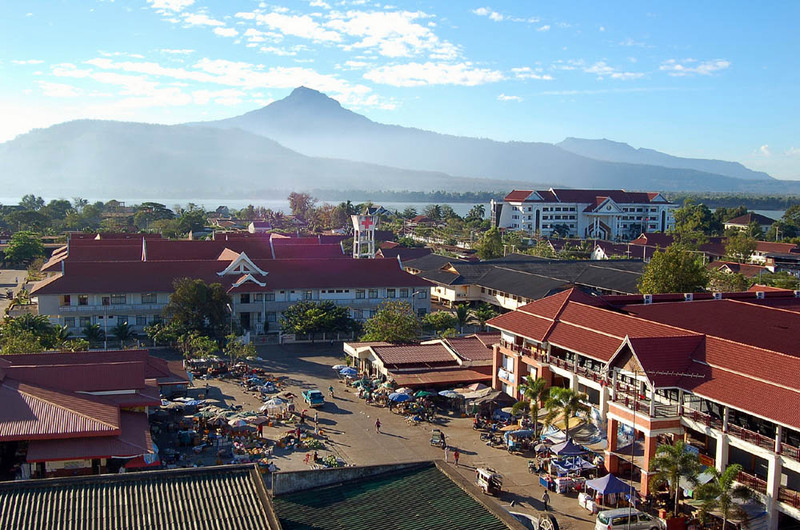 Sandwiched between the Mekong River and mountains, this charming town is steeped in history dating back to 1713 when it was a once bustling ancient city and the prosperous Champasak Kingdom that formed one-third of Laos. 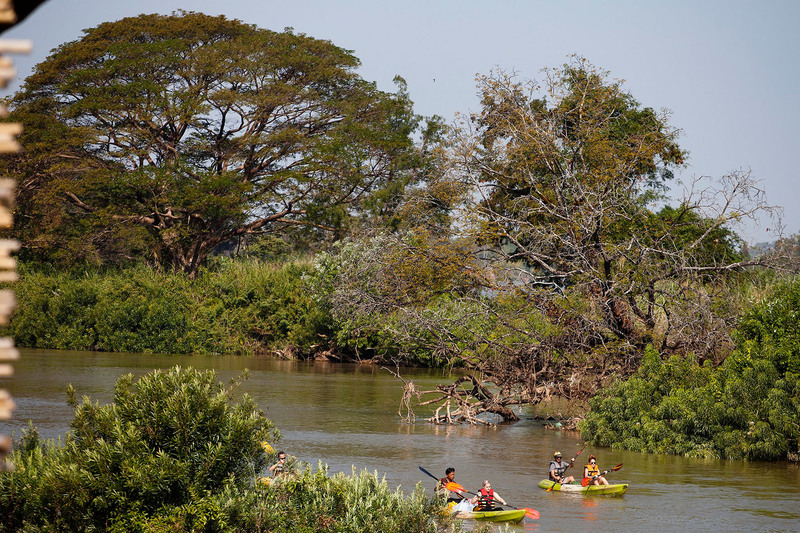 Champasak is a worthy destination location all on its own, but for me, one of its main attractions is simply the atmosphere. 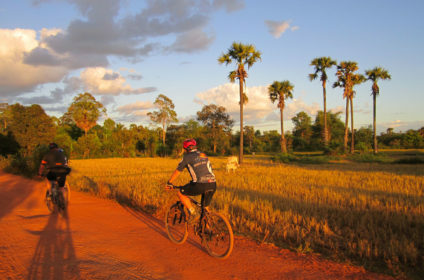 To thoroughly appreciate its ambiance, rent a bike or take a leisurely stroll through the town’s single road. 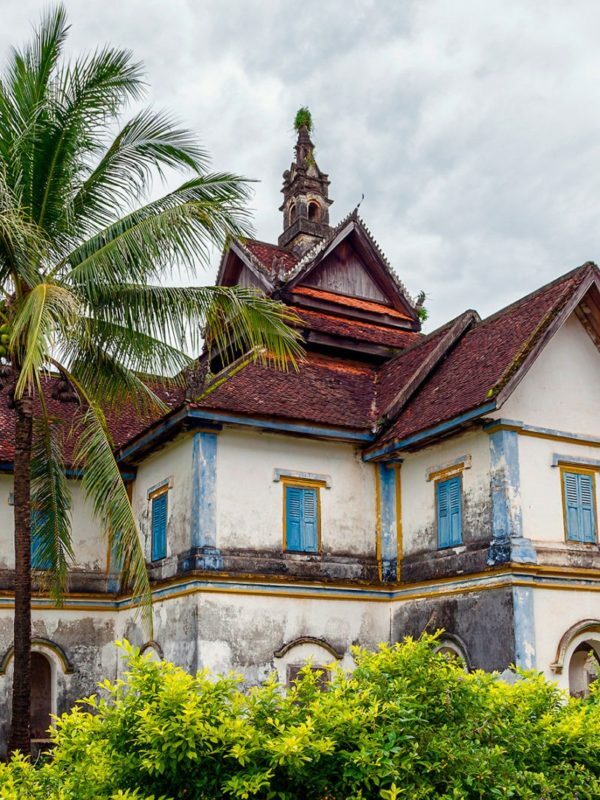 You will discover modest wood-shuttered shop houses, restaurants, and traditional Lao homes intermingled with decaying colonial mansions that were once royal residences. You will be surprised by the modern, vividly painted homes, lovingly enhanced with local flowers and shrubs. 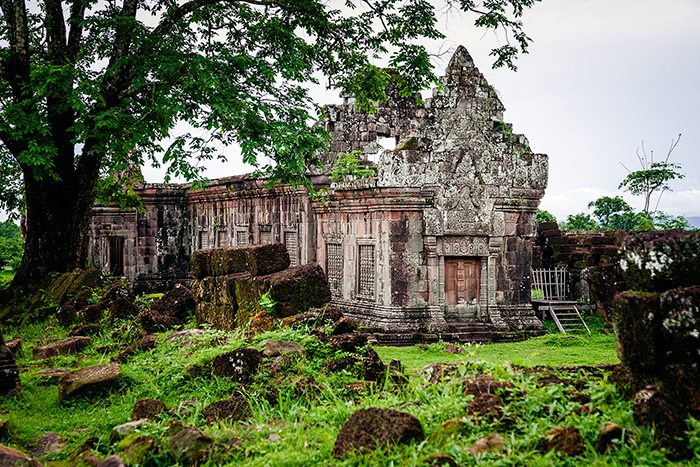 Head down to Wat Muang Kang – a crumbling architectural treasure and one of the loveliest temples in Laos. 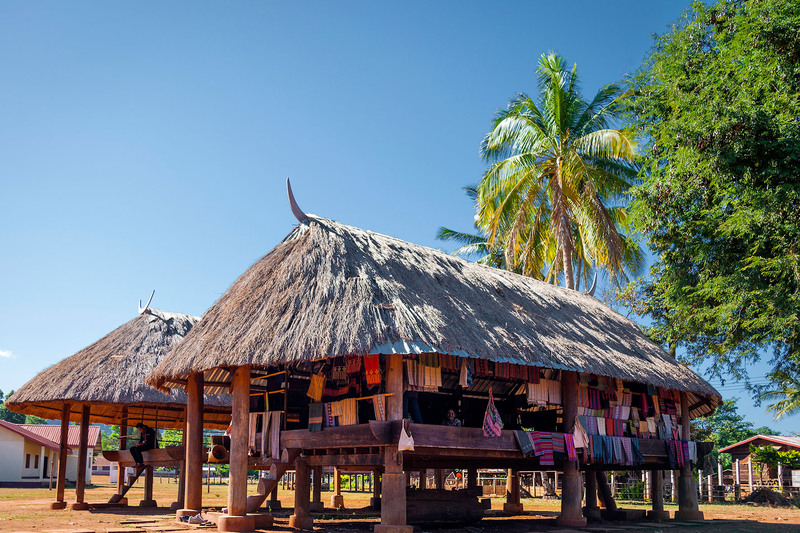 Shop for handicrafts from all over Laos at Chez Maman, clay art at Champasak Pottery or bamboo handicrafts throughout the town. 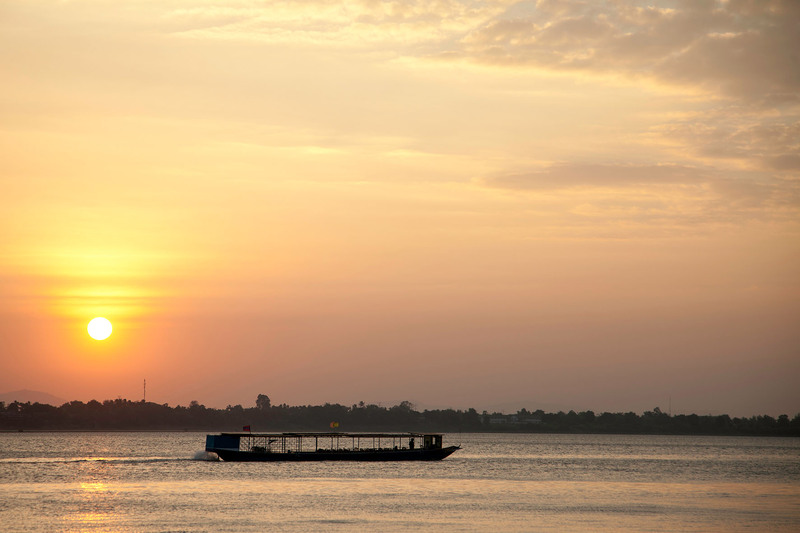 Be sure to rest along the way to watch the locals fish on the magnificent Mekong River. 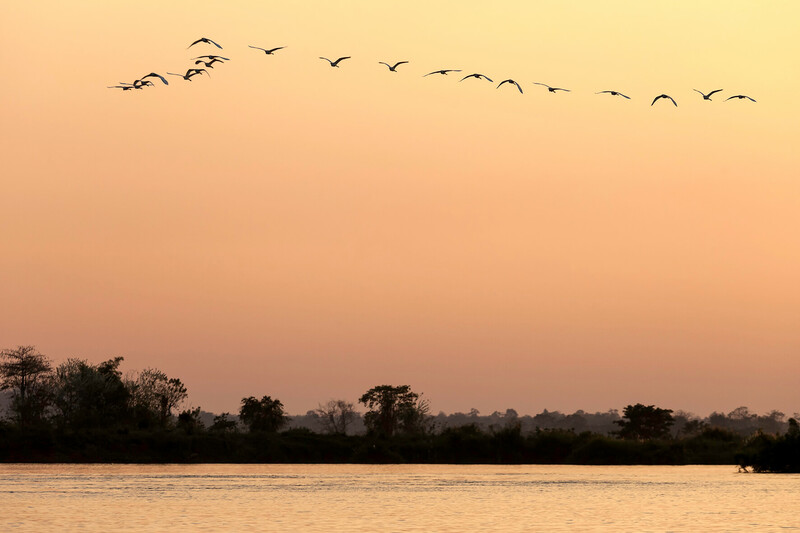 You can indulge in a half-day spa treatment at the Champasak Spa where you will be pampered by a team of skilled locals trained in traditional massages. 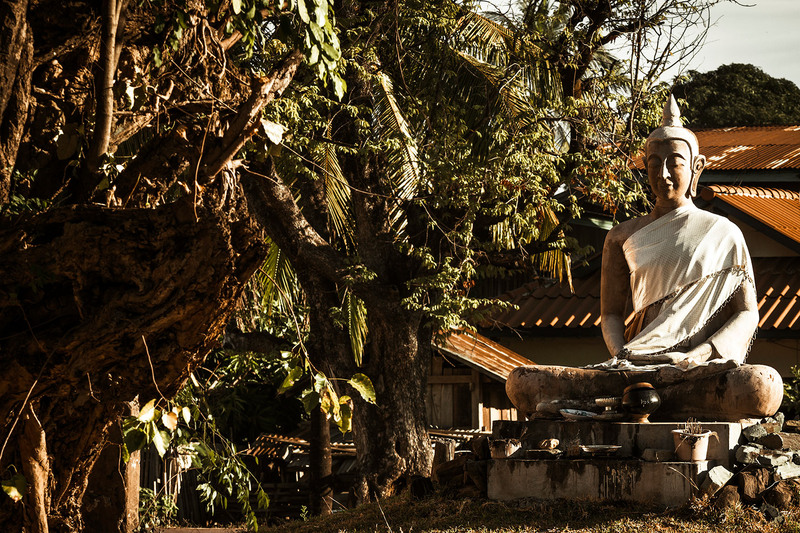 In between treatments, you are provided with fresh fruits, herbal drinks, and relaxation time in the garden overlooking the Mekong. 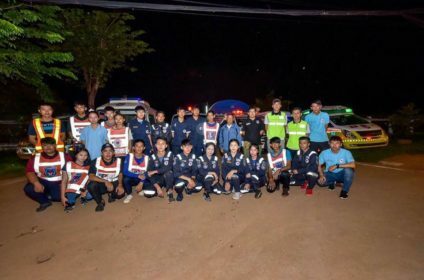 Additionally, you will feel altruistic knowing that the spa is non-profit development project established to create jobs for local residents and promote and develop sustainable tourism in Champasak. 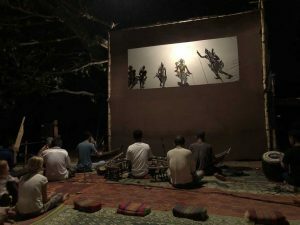 For something different, spend an evening watching the Shadow Puppet Theater perform under the stars on the bank of the Mekong River. 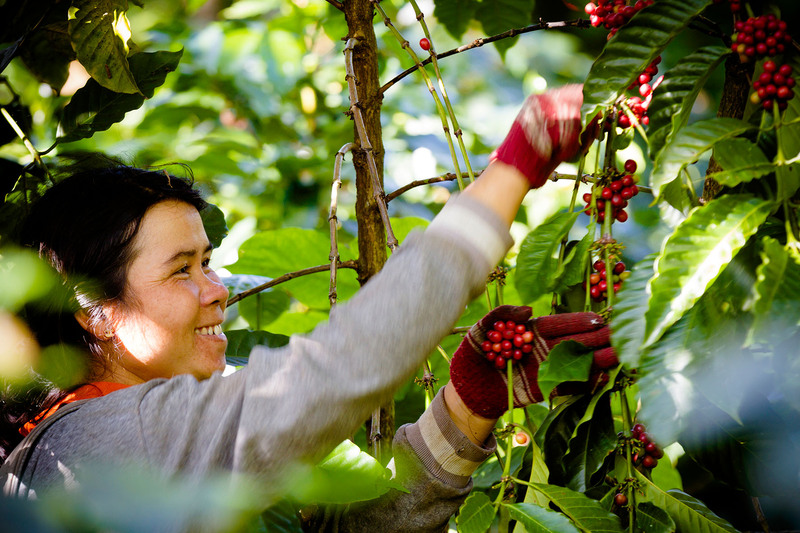 Accommodations range from upscale hotels to a wide variety of budget guesthouses – from $7 to $75 USD per night. The Nakorn Hotel has amazing views, lovely, modern rooms, and a good restaurant with a distinctive outdoor dining room area – all run by a friendly, helpful family. $35 USD for a double room with a river view. The Inthira Hotel – stylish, well run and reasonably priced, with attractive rooms, free breakfast, a garden, and an excellent restaurant, with friendly, professional and helpful staff. $49 USD for a double room. 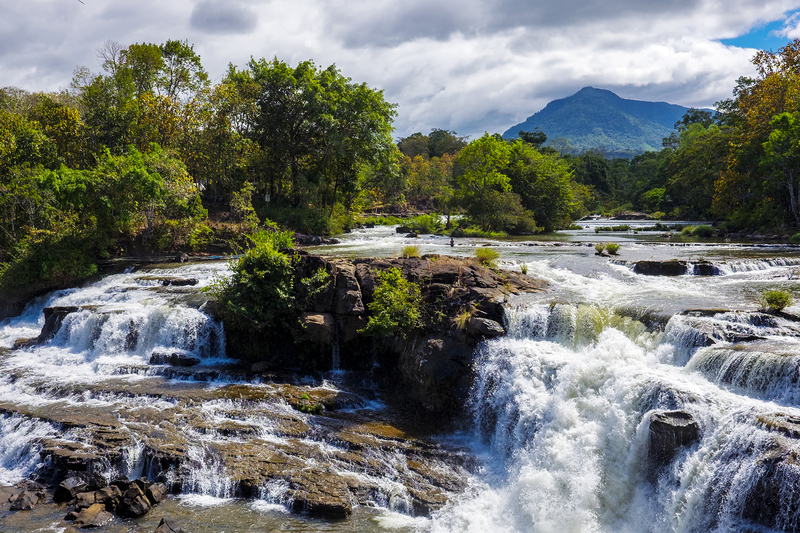 If you need further incentive to add Champasak to your itinerary, the surrounding cultural landscapes and magnificent daytrips provide an authentic Laos experience. 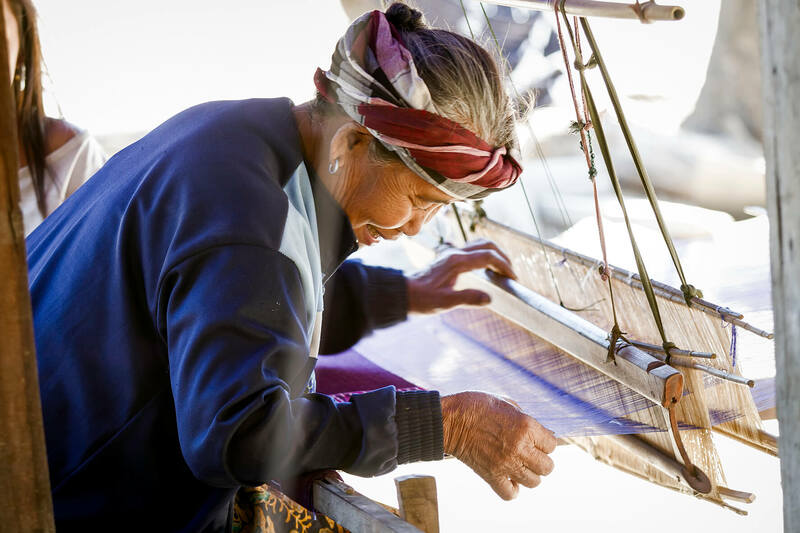 Take a locally crafted ferry to Don Deng, a car-free island directly across the Mekong River from Champasak, and only accessible by boat – the crossing is one of many amazing highlights of the trip. From the ferry dock, you may find yourself greeted by water buffalo lounging in the river. You then board a unique Lao tractor and ride up the 500 meter beach to the spectacular La Folie Lodge. There you can take a refreshing dip in the pool, lounge and eat poolside, spend the night at a beach-front chalet – each with its own deck to enjoy a spectacular sunset shimmering on the Mekong. 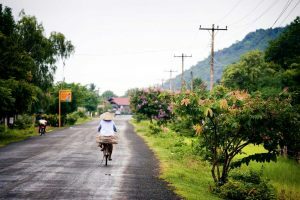 Explore the island by foot or bicycle along its single bumpy, tree-lined trail around the island. 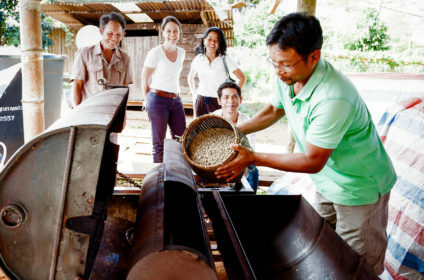 Along the way, stop and enjoy fresh fruits and coconut or sugar cane juice. 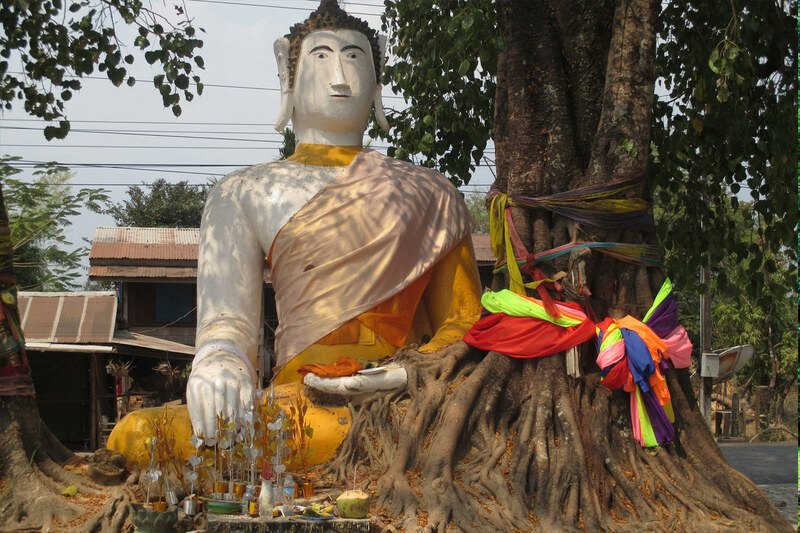 Visit traditional Buddhist temples, an ancient forest stupa and basket weaving villages. 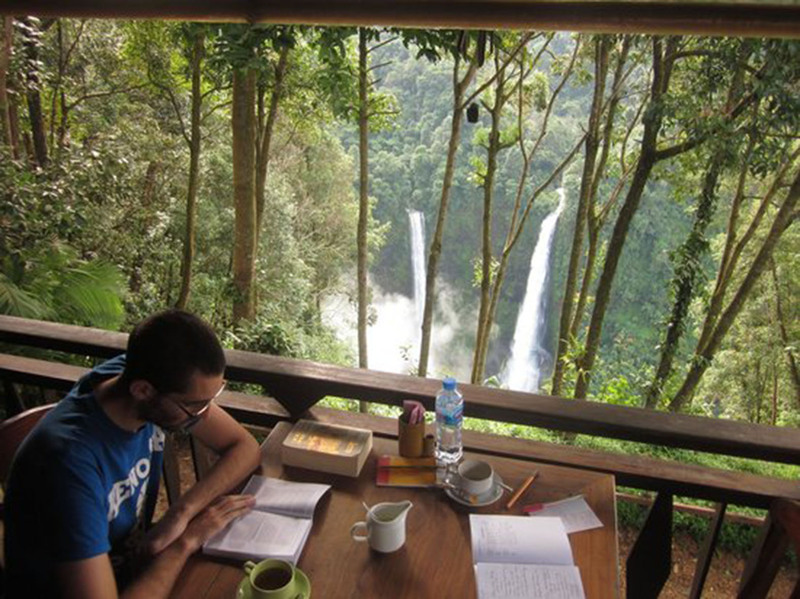 Alternative accommodations include a Community Lodge – run by a group of villages, or very rustic homestays. 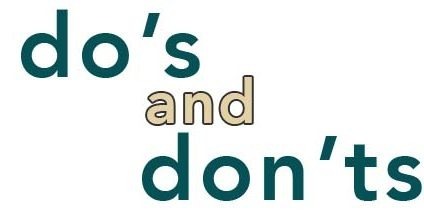 These can be arranged through the local tourist office or travel agencies. 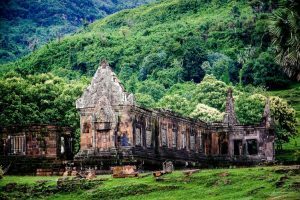 Located 10 kilometres from Champasak, UNESCO World Heritage-listed Wat Phou is an impressive Khmer temple and a highlight of southern Laos. Explore the ancient temple, then climb the precarious, narrow stone steps – with an occasional frangipani tree offering some much needed shade. At the top you will be rewarded with a stunning view. 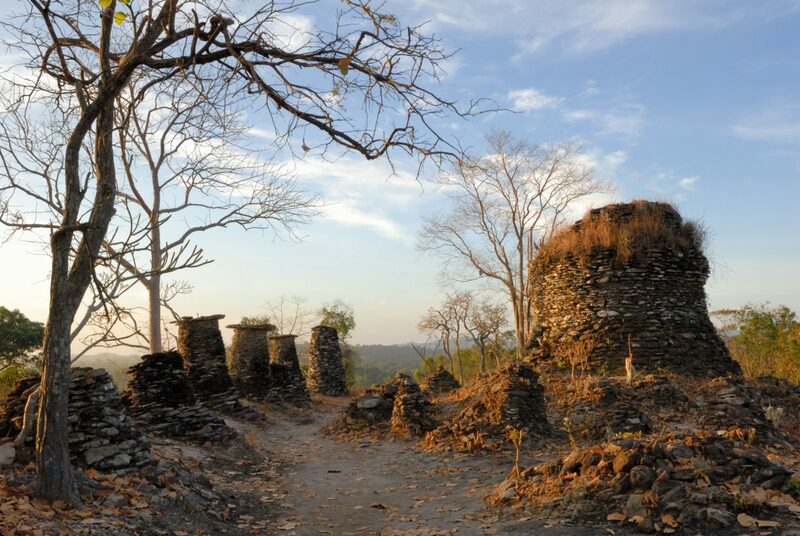 Trails to the main sanctuary include a carving of the Buddha’s footprint on the cliff face, and boulders sculpted to resemble elephants and a crocodile. 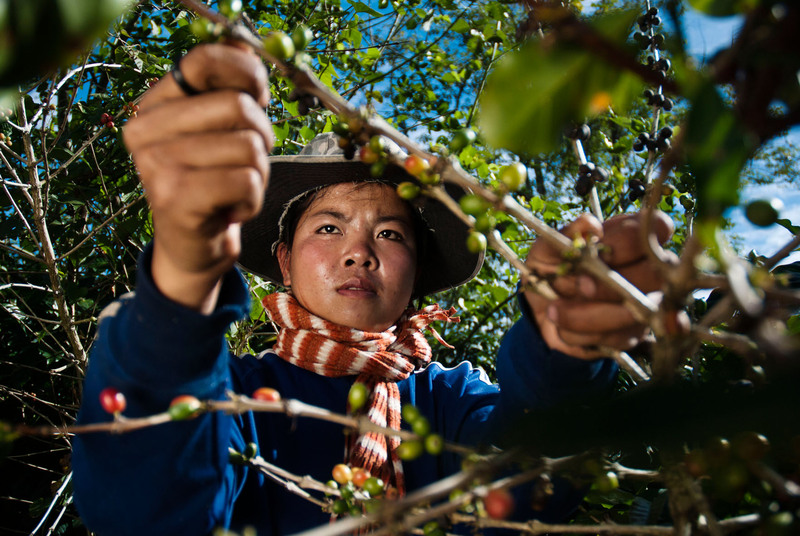 Travel 33 km south of Pakse on a new road on the west bank of the Mekong. The traffic is light and the scenery is gorgeous. Rent a motor bike, car, tuk tuk or arrange a bus through a travel agent. One the way, be sure to stop off at the Wopakok Hotel Restaurant and Bar for a great meal and visit with owners Naly and Sean. 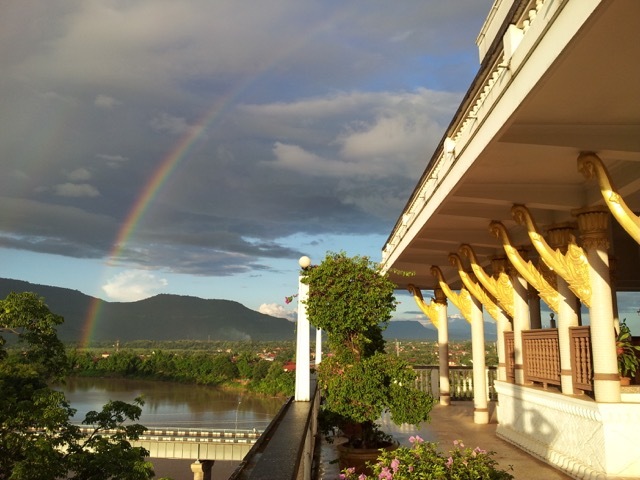 The beautiful deck overlooking the Mekong has one the best unobstructed views in Champasak.